As stated by the Georgia Project for Assisitve Technology (2004), “assistive technology is any item, piece of equipment, or product system that is used to enhance, maintain, or increase the functional capabilities of individuals with disabilities.” The use of assistive technology (AT) for any individual can range from something as simple as a grip on a pencil to software programs to assist with academics such as text-to-speech and voice recognition-software. The use and purpose of assistive technology is to provide students with the proper means necessary to accomplish and achieve tasks that they would not be able to do independently. This video shares a variety of different assistive technologies that are used with children with autism. Some assistive technology items mentioned in this video are weighted blankets, visual schedules, picture exchange system, and visual timers. In this video, each of these items are described on how they benefit students in many different ways. This video gives a great introduction to what assistive technology is. It starts off by sharing the definition of assistive technology. During the video, there is animations to describe what the narrator is talking about. It touches upon the solutions AT can bring to those who have a disability everyday lives. This video really talks about how AT can truly change someone's life for the better. This video shares the story of a young boy named Matthew. Matthew is 7 years old, nonverbal, and autistic. The picture exchange communication system was the first time Matthew really had a voice voice. It allowed him to communicate his needs, wants, and thoughts with others. He was then able to get an electronic communication device that broadened his realm of communication. A picture board is an item that can be constructed differently for each individual. It highlights and illustrates certain tasks or objects that the child or individual may not be able to properly say with no difficulty. For example, a picture board may consist of a photo of a shoe and next to it there would be the words “tie your shoe.” This has been shown to be one of the very effective assistive technologies that may be found in a home with an individual who has been diagnosed with ASD. The assistive technology that many people can get access to truly influences the way they go about completing certain activities in their everyday life, aside from school. Picture Exchange System (PECS) is also a very well used assistive technology item. 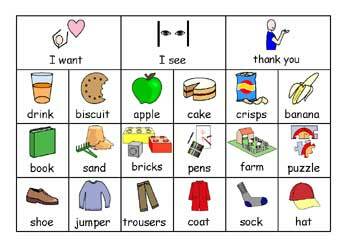 PECS was a system created by The Deleware Autism Program that uses tactile symbols along with words to promote communication (Simmons, 2014). This specific kind of assistive technology uses pictures of objects, drawings and photographs to enhance the individuals association with their environment. PECS is now accessible on mobile devices and many professionals and schools utilize it to support children with ASD. Mobile devices are now considered a type of AT, and have truly gained popularity with all school aged children, including those with ASD, since it offers them practical communication solutions whether it be with their friends, family, or school peers or educators.